It is sad to admit but my phone is like an extra limb. I have an iPhone 5s and I am on it for hours a day I reckon - a total blessing but a total curse at the same time. Not only am I addicted to my phone but I love love love getting new cases for it! Is that a bit sad? You've probably noticed in my ebay wishlists that I am forever looking at new phone cases! There are so many and I can never choose one! So what better for me than a personalised phone case! Instead of just picking one photo for the case I decided to go for one of the many collage designs they have to offer - mainly because I couldn't just pick one that I wanted! It was so fun to make but I did spend FOREVER choosing what photos I wanted where - I'm a right fussy one me! Doll & I in her wedding party photo booth ♥ Me and my girls at the Bestival 2013 all in fancy dress ♥ A sign post from the Wizarding world of Harry Potter at Universal! One of my favourite photos I took at Disneyworld in 2012 ♥ Times Square NY from our trip round the US ♥ Me & the girls in Zante getting a bit hyper ♥ Doll & I in the Magic Kingdom ♥ my little puppy Bauer! I love that the sides of the case are clear (especially as I have a pretty gold iphone)! It looks a million times better than other cases I have and I was so happy when I saw the case in real life as it looks so much better than I was anticipating! These case are just £14.95 on Mr. Nutcase and they do a number of different phone device's along with Apple and they even so iPads! There are also a number of different styles of case to choose from so if you aren't keen on just the back clip-on case like mine there are others that may take your fancy! And guess what?! 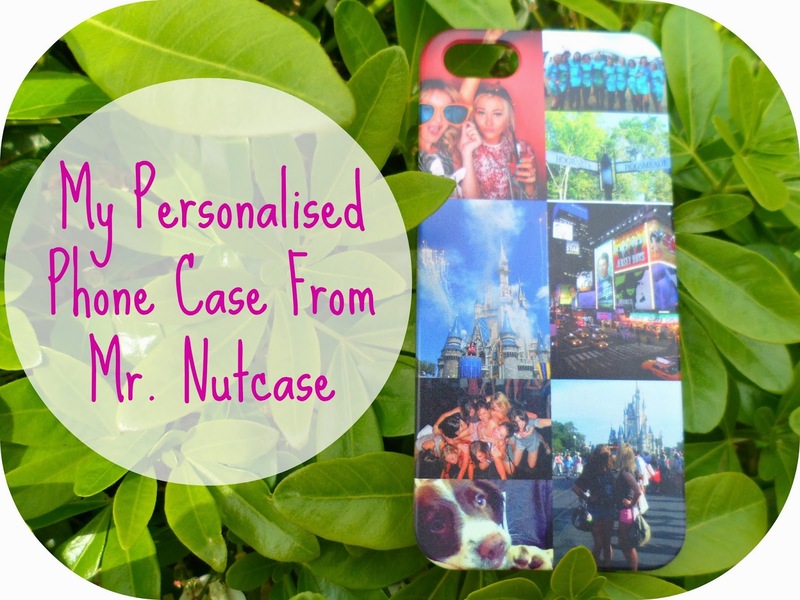 If you make a case on Mr. Nutcase today you can get get 10% off with discount code "Thanku10"! I love my case so much, it's so nice to have some of your favourite photos with you at all times and it really does make your phone yours! What do you think? What phone case do you have? I've wanted one of these for a while.